Professional concentrated hot-water extract and mycelial biomass combination containing 30% beta-glucans, proteoglycans and related polysaccharides. Traditional hot-water extraction provides high levels of the immune-modulating polysaccharides, while the mycelial biomass contains the full spectrum of active metabolites from the mycelium and young fruiting body of the mushroom, including other beta-glucans and extra-cellular polysaccharides, phytosterols (including ergosterol (provitamin D2)), proteins, lipids and arabinoxylans. MycoNutri products are manufactured in the U.K. to EC food standards. The mushroom biomass used is grown in the USA on sterile grain-based substrate and is optimized to maximise substrate conversion and hence mycelial production. All MycoNutri products are suitable for vegetarians and vegans (capsules are of plant origin). No additives are used and the products are dairy, gluten, maize and soya-free. 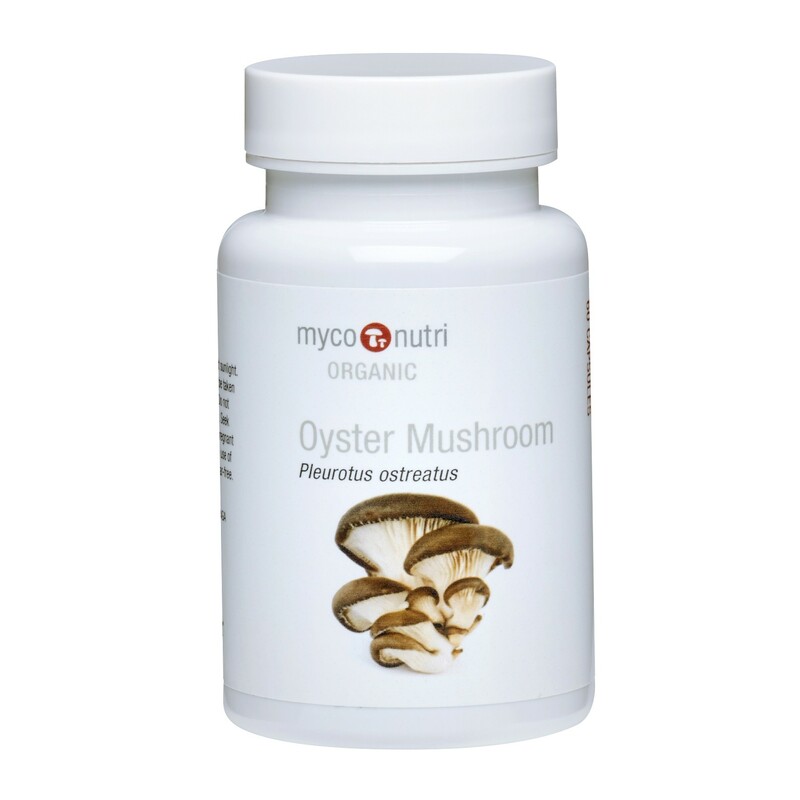 60 x 500mg Organic Pleurotus ostreatus hot-water extract and optimized mycelial biomass.